Imagine being able to promote your business 24/7 in different areas of your city, state, or even the U.S. It sounds amazing, right? Now, you might be thinking that such service will cost way too much and you probably won’t be able to afford it. Well, think again! Having a mobile, non-stop, and affordable advertising campaign is more real than ever. It is almost inevitable not to complain every day about the traffic. According to INRIX, a data company that looks at traffic services, Denver is at #21 in America’s Worst Traffic Cities. Colorado Springs is #81, but second in Colorado. Just in Denver, last year, drivers spent an average of 36 hours in traffic jams, while in Colorado Springs, people spent more than 15 hours stuck behind the wheel. Even if it sounds crazy, you can turn this situation to your advantage and boost your business profits. Car graphics are excellent options to catch new customers. Outdoor advertising and business signage are excellent tools to catch new potential customers, but they are limited to the area they are placed. 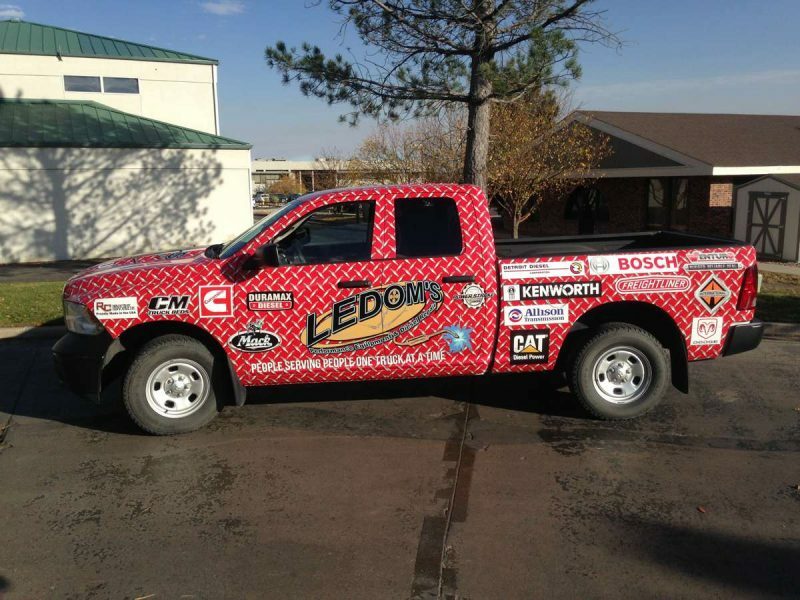 A business custom vehicle graphic will allow you to catch people’s attention everywhere you go. It is an excellent and affordable option to give elegance and strength to your business. Just imagine arriving at an important meeting or trade show in your cool, eye-catching, elegant vehicle fleet. It is as easy as finding the best parking spot and leaving your car there for a few hours. Whenever we find ourselves stuck in traffic, staring out the window seems like the best way to escape from reality, and this could be translated into easy money! According to the Federal Highway Transportation Administration, drivers and passengers of non-commercial vehicles viewed, on average, over 750,000 visual images each month. According to a National In-Car Study conducted by Arbitron, an international media and marketing research firm, many of the last-minute buying decisions come while driving or sitting in a car. This means you can easily monopolize your market and leave the competition eating dust by simply showing your corporate image all around while traffic is suffocating drivers all day long. The firm’s study shows that more than half of the people interviewed stated that in the course of a typical workweek, they often shop after getting home from work or on their way home. 29% of the people interviewed admitted they went shopping later during the week to a certain shop after watching a billboard or some sort of outdoor advertisement, while 20% actually went the same day. If you are able to print your business image in their minds at some point in the day, it is quite probable you will be catching last-minute customers. 2017 is just beginning, and it is the perfect time to invest in a car graphic for your business fleet and catch all those customers driving around. Happy hunting! When and how to use effective Wayfinding signs?